Hoi An Riverside Bamboo Resort is nestled on the romantic Do riverside and is distant the Hoi An old quarter center 3 km, the Da Nang airport about 35 km and the Cua Dai beach about 1 km. This resort is inspired to special style of typical ancient house’s architecture in Hoi An. 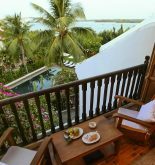 Besides, all of rooms in this resort are designed harmoniously so it brings a quiet and comfortable feeling to satisfy its tourists. 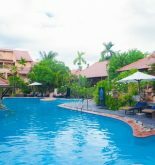 Its 22 rooms include facilities and services such as restaurant, coffee shop, bar as well as boat tours, bicycle rental especially there tourists can also dip in swimming pool for relaxing. At this riverside bamboo resort, it is very easy for tourists to visit temple, pagoda, museum and old houses vestiges. 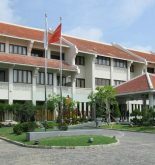 Address: 83/09 Nguyen Duy Hieu St, Hoi An, Quang Nam, Vietnam. 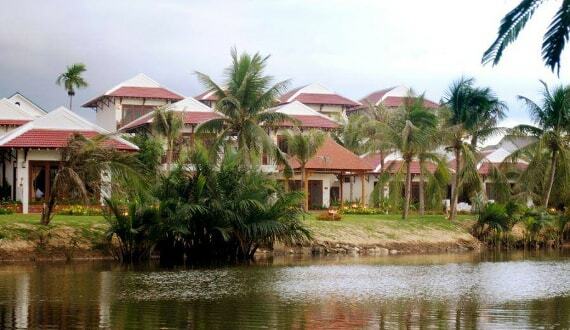 This information has been supplied by Hoi An Riverside Bamboo Resort.